EZGrippers help provide a high success rate when picking up objects. 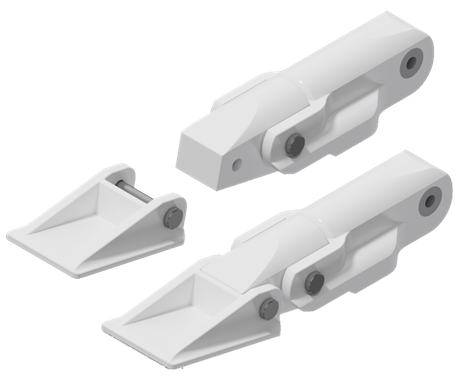 EZGrippers can handle abuse as they are designed to operate in unstructured environments which can be rough on end effectors. 5 kg per gripper. If you need more payload, you can synchronize 2 or more EZGrippers together. We provide mounts for 1, 2 and 3 EZGripper configurations. Your robot payload includes your end-effector. The EZGripper weighs ~400 grams to maximize your remaining robot payload. Designed for robots that work with people. Human-safe, durable, lightweight robotic grippers for next generation robots in unstructured environments. The EZGripper™ robotic grippers provide under-actuated parallel gripping for reliably picking up and holding a variety of objects weighing between grams and multiple kilograms. The under-actuated fingers stay straight when picking up small objects like pencils and automatically wrap large objects. Full position and torque control enable picking up objects with very gentle force or a very firm grip. Our EZGripper Robotic Grippers include everything you need to get started! The EZGripper App makes controlling the grippers very intuitive and efficient. The EZGrippers have programmable position (0-100) and force (0-100). 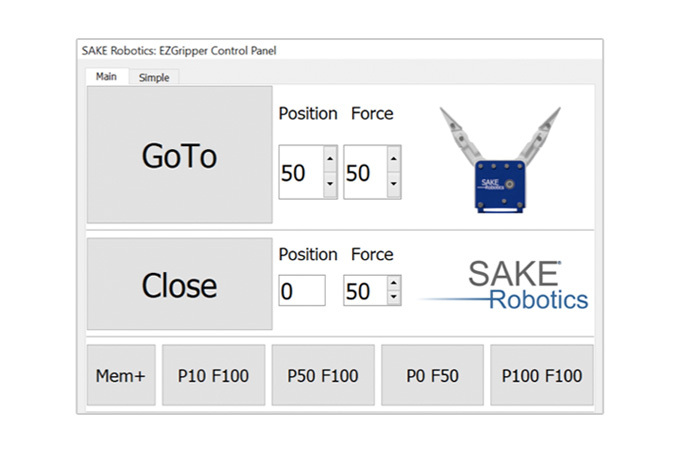 You can also control the grippers through Python on Windows 10, Linux and ROS. The EZGripper fingers have a sleak pointed design to enable slipping between objects when picking. The fingers can have attachments on both the front and back sides of the finger. It is easy to develop specific finger pads for all kinds of applications. The EZGrippers come with 30mm by 50mm finger pads. 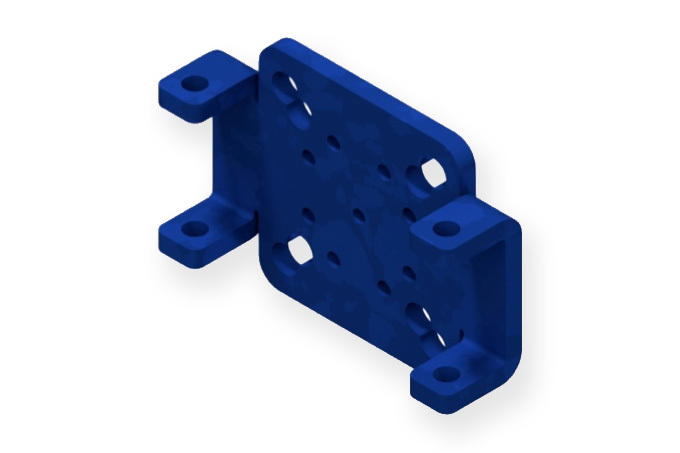 This strong yet lightweight aluminum mount is easily bolted to a wide variety of robotic arms. The mount is designed for the EZGripper to be center aligned to the robot wrist for most robots. This allows 360 degree rotation about the wrist with the grasp center aligned to the axis of rotation. Other mounts are available that hold 2 and 3 grippers. Simply plug the USB interface (to RS485) into your cobot controller or computer and you are up and running quickly!